Great job by the KRyS team in the Guernsey office, who took time from their busy schedules to do a makeover of the Hub for the Youth Commission for Guernsey and Alderney. 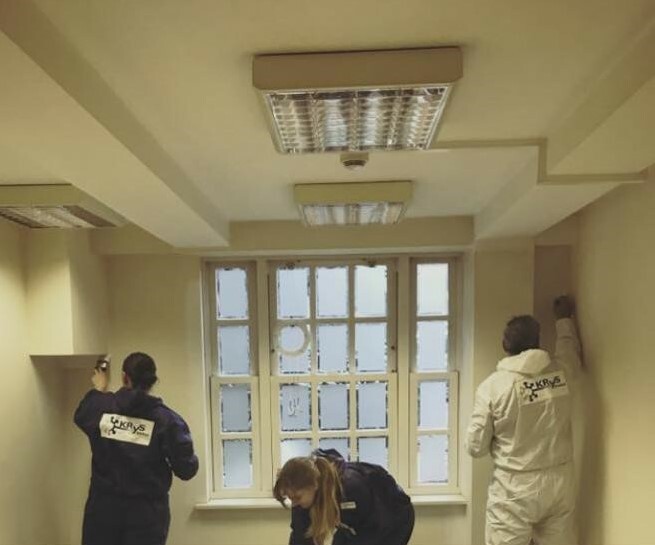 The Guernsey team brightened up one of their meeting rooms, by repainting it. The Hub team intend to invite a young person to contribute some redecoration ideas for the room, making it a more welcoming meeting space. KRyS Global have been keen supporters of the Youth Commission since opening the Guernsey office in 2012. The Commission work to ensure that more young people across the Islands have access to shape and engage with positive activities that support their personal and social development. Happy Halloween from KRyS Global!